This Blackbird Nester is handmade in the UK from solid FSC certified timber. Designed in the form of a deep open ledge with an apex roof for shelter. This emulates just the type of spot that a blackbird likes to build its nest. 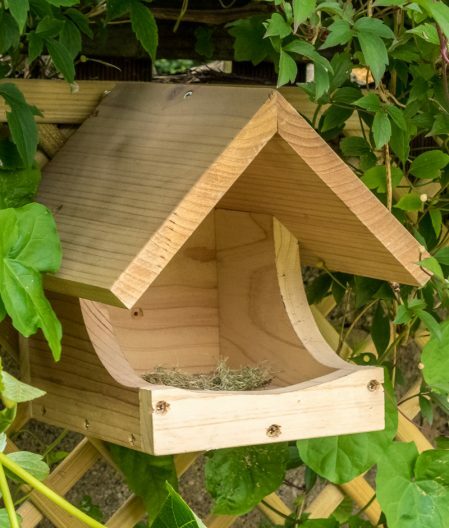 The Blackbird nester should be hung from its brass hook at a height of at least 1.5m preferably concealed in some foliage inaccessible by predators. The nest box should be sheltered from the prevailing wind. 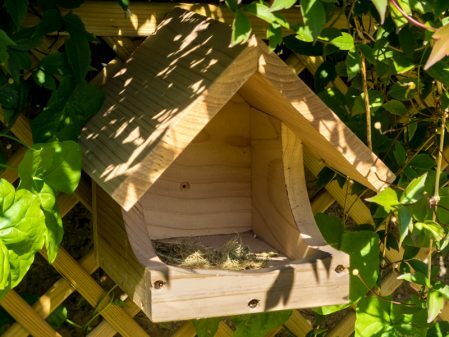 You may find robins, dunnocks and wagtails which like an open-fronted nest box may also be attracted to build their nests here. Leave the nest box empty initially as blackbirds will bring in their own nesting material. Nests should be cleaned annually but only after you are sure the nest is vacated after September. Blackbirds tend to have a long breeding season and may have several broods. 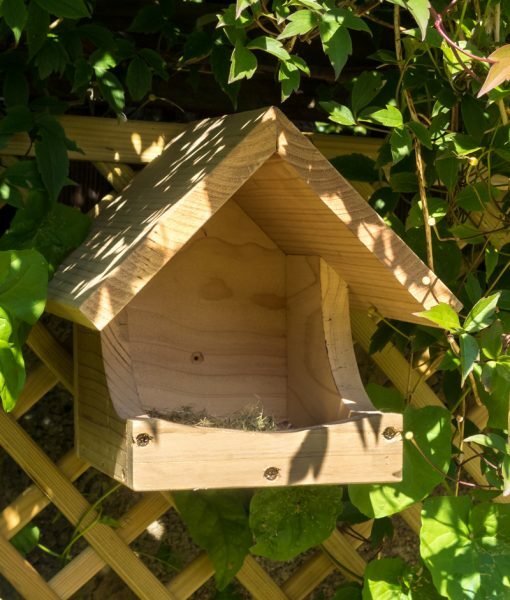 The blackbird nester is made from slow-seasoned FSC certified timber which being slow-dried makes it very durable and this conscious choice eliminates the need for chemical preservatives. Made using robust screwed and jointed construction techniques for longevity.